We hate to break it to you, but fanny packs are officially in—that is, if the fashion week crowd has anything to say about it. The hands-free style was spotted all over the streets of London and then again in Milan and Paris. But how exactly does one sport this nerd-chic accessory without looking like you got lost on your way to Disney World? Here, we break down all the dos and don’ts of wearing a waist belt like a true fashionista. Leather, velvet or even satin packs automatically look more elevated than their nylon and canvas cousins. Despite the name, a fanny pack doesn’t have to sit solely on your rear. Let it sling low around your hips, tighten the strap to cinch your natural waist or drape it over your shoulder like Coterie member Babba Canales does here. Your favorite tote can fit your Kindle, lunch and a change of clothes for a post-work spin class. Your waist belt cannot. Pair down to just the essentials to keep the bag from looking bulky. Could you splurge on the Gucci bag? Sure. 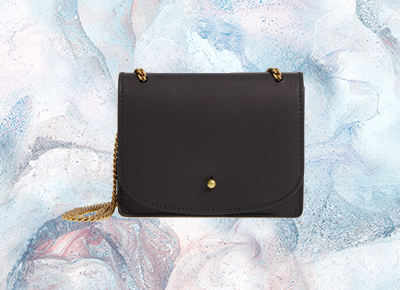 But why not follow in the footsteps of Sommar Theodore, one of The Coterie's most fashionable members, and use a crossbody with a removable strap that you already own? Simply wrap the strap around your hips so it’s snug enough to hold in place and voilà!—a DIY fanny pack that’s on-trend and budget friendly. We already mentioned looking for fancier fabrics, but shape and style are important too. A long, thin rectangle or even circle feels much fresher and more exciting than the typical half moon cut. It’s a fanny pack, folks. This trend is meant to be cheeky, witty and, most of all, fun. Don’t stress over it or take it too seriously; just embrace your new hands-free life and maybe do a few cartwheels to celebrate.